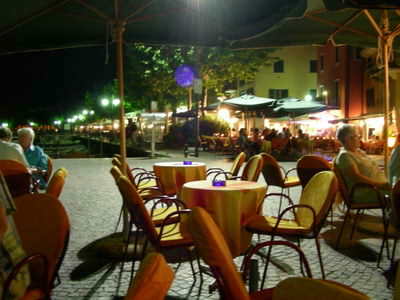 "If you love your food then the many great Lake Garda restaurants will be a highlight of your stay here"
The thing we really love about the Lake Garda restaurants is that they are all so individual and unique. There are loads of small and very characterful places to eat all around the lake and trying out a new one is an adventure. We find the Italian waiters very friendly and cheerful, just don't expect to rush through your meals here, Italians like to take their time eating. As you would expect the wine here is great too and also cheap which helps you to really relax and get into the Italian style! We also love eating outside by the lake and there are tons of places to do this. Many eating places are surrounding with plants, flowers and trees which makes a very pleasant eating environment. Eating outside really is a beautiful way to spend an evening here! Most Lake Garda restaurants offer a variety of really tasty food including pasta, pizza, fish, meat, salads and of course a host of deserts to choose from. The restaurants are usually locally owned and make their dishes from local produce found in the area. We have found the standard of food here to be really high and loved trying out new ones because it is extremely rare to eat a meal here that is not really good. 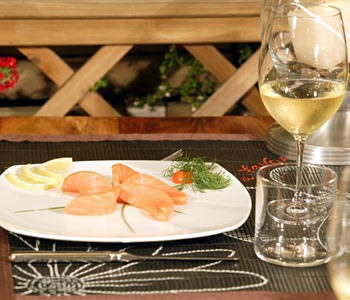 You can often eat out for 10-15 euros per person and this would include wine and maybe a dessert. You can also very high end, fine dining here as well but you might want to up the budget a bit for this! Do not expect to find lots of non-Italian restaurants around Lake Garda, the locals are proud of their Italian food and rightly so. This is not to say you can not find any here but they are certainly few and far between. We had a really good Argentinian meal here once and you can also find a few Chinese restaurants dotted around by if you want to sample foreign food then I would recommend checking ahead as you will not find them frequently. To be quite honest we never tire of the lovely Italain cuisine and it seem to suit the setting at Lake garda so well. We have eaten Italian food in many different countires but no one does Italian food like the Italians! If you have younger family or fancy something different then you can always try a theme based restaurant. The best place to find these is in the Peschiera to Lazise area (where you find all the theme parks funnily enough). 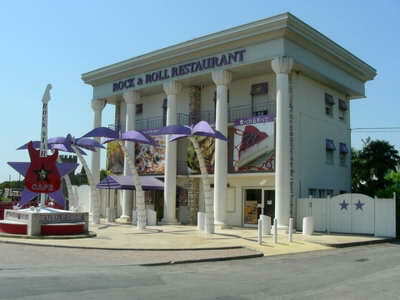 There is a Rock 'n' Roll cafe for something with an American flavour to it. Probably the most fun though is the Medieval times with is based on eating back in those times with lots of fun and entertainment going on while you eat. Kids will love this place! Find out more about Medieval times. 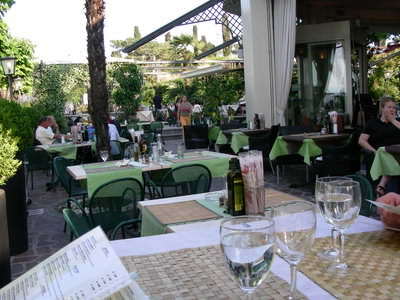 Many of the hotels at Lake Garda have their own wonderful restaurants as well. There is something so relaxing about wandering down from your hotel room straight to the restaurant without even bothering about going somewhere else. For those of you who love a really chilled out stay and love just relaxing in the hotel grounds most of the time, then finding a hotel with a great restaurant is a must. By looking at the photo gallery on the hotel pages, you can often see photos of their restaurants. Have You Found an Amazing place to Eat? 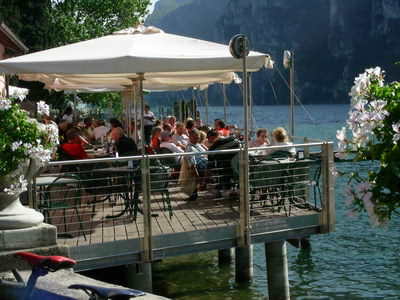 Did you discover the tastiest Lake Garda restaurant ever? Why not share your story about this mouth watering place to eat and you are highly likely to get your own spot on this website! Your story could well feature on a dedicated web page and may even get in our newsletter too! How good would it feel to show your friends and family your own Lake Garda story on a well respected Lake Garda site! We love pictures as well, so feel free to send us your best shots and there will be no mistaking you then!